Perhaps you have Viking blood coursing through your veins, or maybe you simply just love Viking culture, beliefs, and traditions. Well, whatever your reason for planning a Viking themed wedding, here are the top 5 wedding must-haves to include to make your day all the more spectacular! Let's just put it out there that finding 10th century Nordic Vikings outfits isn't gong to be an easy task. Most people who opt for a Viking themed wedding have to make their own outfits. This is especially true for the men's tunics. It's a good idea to find a competent seamstress ahead of time if you intend to go down this path. The bride has an option to either make her own dress or to purchase a modern dress that fits the theme. 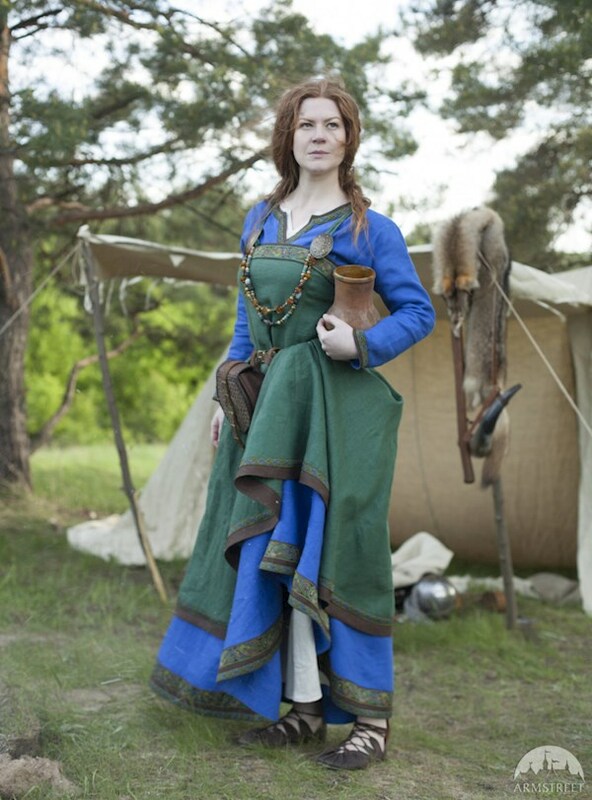 Ideal Viking bride's dresses have plenty of ruffles and layers. A winter wedding is perfect as it allows faux fur to be used. A faux fur stole can complement the bride's dress and give her that Viking bride look that she is after. Let's not forget the bride's hair. Braids are an essential part of the brides look for the day. Whether the bride chooses a loose braid or an elegant braid updo, adding a head ornament will certainly add to the charm of her appearance and give her that mystical look so common among Nordic brides. A wedding theme as unique as this one deserves complementary decor. For many, this includes the creative use of wheat, logs, and oats. Wheat and oats are among the more common grains fashioned into centrepieces for tables. Bride's can also often be seen carrying a wheat bundle as their bouquet of choice. Hay bales can be turned into seats for the wedding ceremony. Just remember to cover them with fabric! 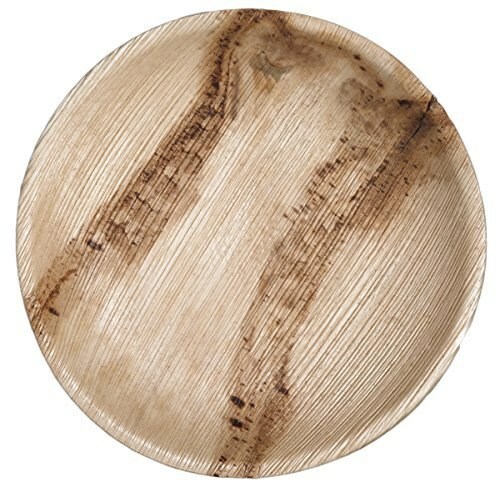 Biodegradable bamboo plates and bowls can be used when it comes to serving and presenting food. They help with preserving that Viking feel. There are a lot of different types of Mead on Amazon. 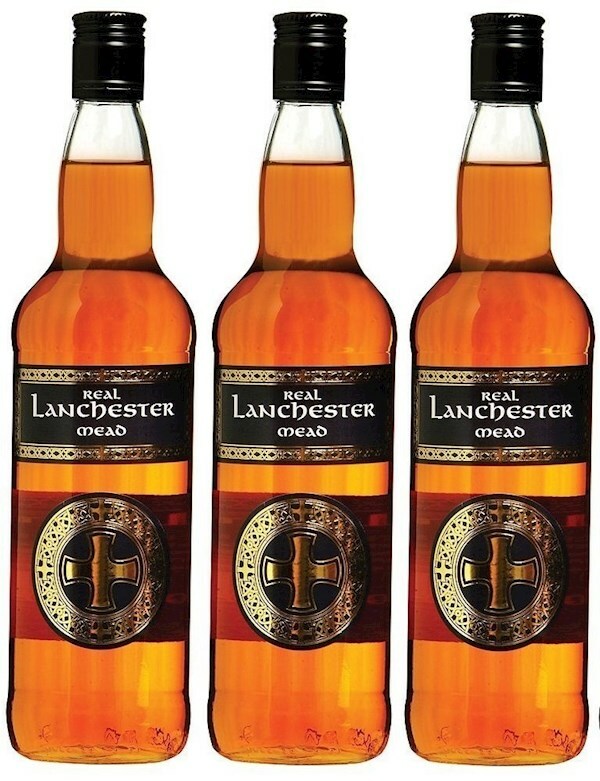 Mead is an alcoholic beverage made from the fermentation of honey with water. It may contain fruits, grains, and spices. Mead is a central part of Nordic wedding tradition and it was a drink that couples drank for the first calendar month of their marriage. Mead was supposed to help the woman ease into married life and come to accept the reality that she is now someone's wife. In today's modern Viking wedding celebrations, mead is often drunk as part of the ceremony, in a similar way to how Christians share communion. 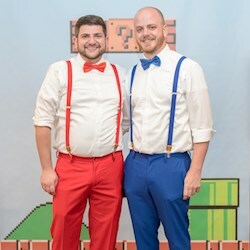 If you want to really have a traditional Viking themed wedding, and you want to recreate the Norse culture as much as possible, then you and your partner will need six men to act as your groomsmen and bridesmen (yes, no bridesmaids, sorry ladies). The ancient role of groomsmen and bridesmen was to guarantee the safety of both the bride and the groom. In those days, anything could happen, ambushes were commonplace, hence the need for three men to protect the groom, and another three men to guard the bride. Furthermore, these men acted as witnesses of the marriage and could be called upon in the event of a legal dispute between husband and wife. Nordic countries were almost always at war. 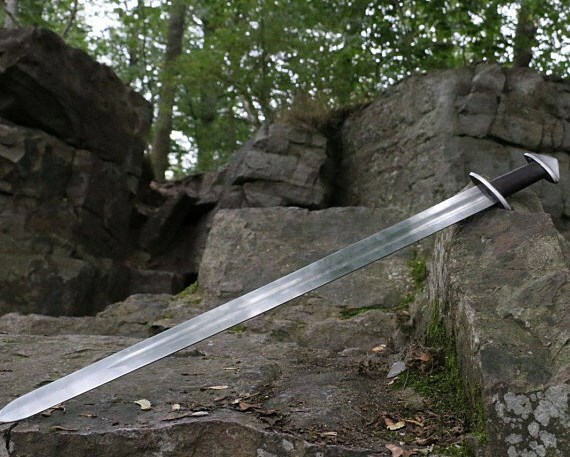 Swords were a part of life and most men carried their swords with great pride. As a result, swords featured a lot during traditional Viking wedding ceremonies. Swords were used for forming an arch for the bride and groom to walk under after the wedding ceremony. They were also exchanged by the bride and groom as part of their ceremony. The groom would give the bride a sword which signified that he was entrusting her with the care of the family they would start and also that he expected her to teach the family's traditions and norms to their children. The bride was expected to hold onto this sword and pass it down to future generations. The sword that the bride gave to her groom was symbolic in that it represented her acceptance of the fact that he was now her legal guardian and protector. The following are extras that you may want to include when planning a Viking themed wedding. 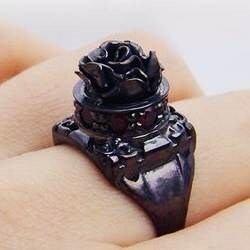 Oath rings were circular in nature and represented the close link that husband and wife would share. They were a circle to demonstrate the fact that the vows made on the wedding day were meant to be unbreakable. The bride and groom placed the oath ring on their own fingers. 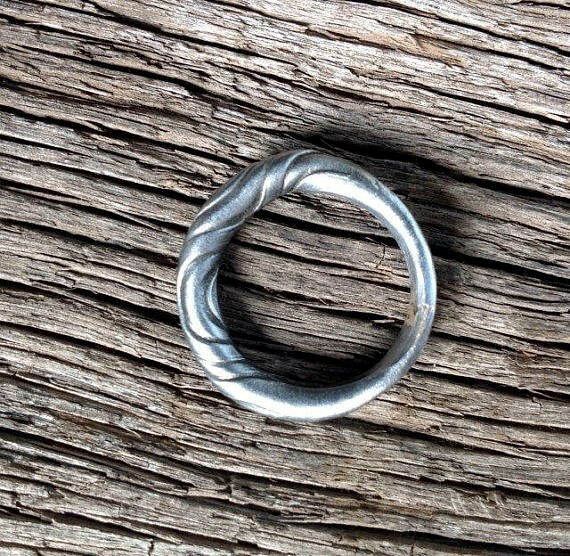 This was done because the Norse saw the rings as oaths and they believed that one could not place an oath on anyone else, hence placing the ring on one's own finger. 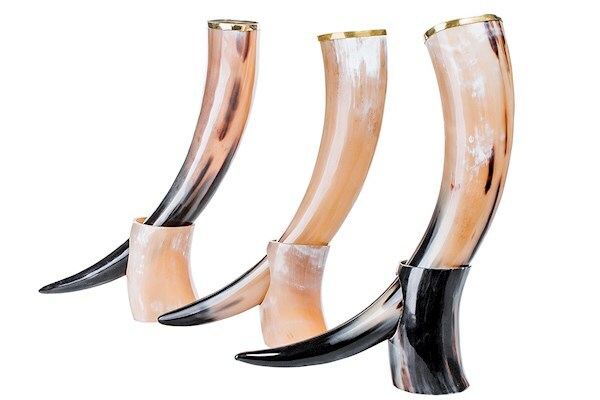 Viking horns are versatile and can be used in various ways during a wedding. They can contain the rings or mead. The groom's speech can also be neatly carried inside the horn. 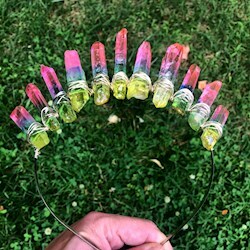 They are a fun accessory and complement the groom's Viking look perfectly. A Viking horn can be secured onto a belt which is then worn by the groom around the waist. 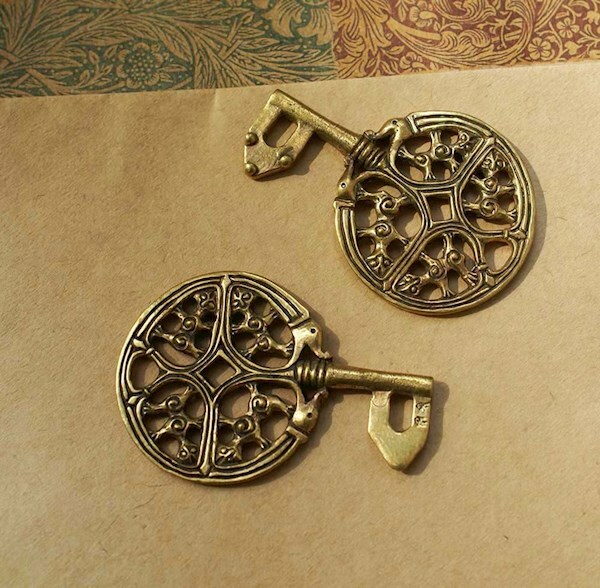 These keys were given to the bride by the groom and symbolised the fact that he trusted his wife to look after the home and take good care of the household. It's not uncommon to have an honourary fire at the beginning of your Viking themed wedding ceremony. A prayer to the gods is usually recited by a Norse celebrant in Icelandic or English as the fire is being lit. It's not, however, mandatory to have an honourary fire, but it's definitely something to consider as you're planning a Viking themed wedding. Planning a Viking themed wedding can be lots of fun, but not everyone attending your wedding will be familiar with Norse culture. For this reason, to help your guests better understand what is going on, consider including information about Norse wedding customs and traditions on your wedding program. Get creative with your invites and ask your guests to share this theme with you by dressing up in medieval or Viking outfits.